When the speed and lightness is the maximum, the Track is born. 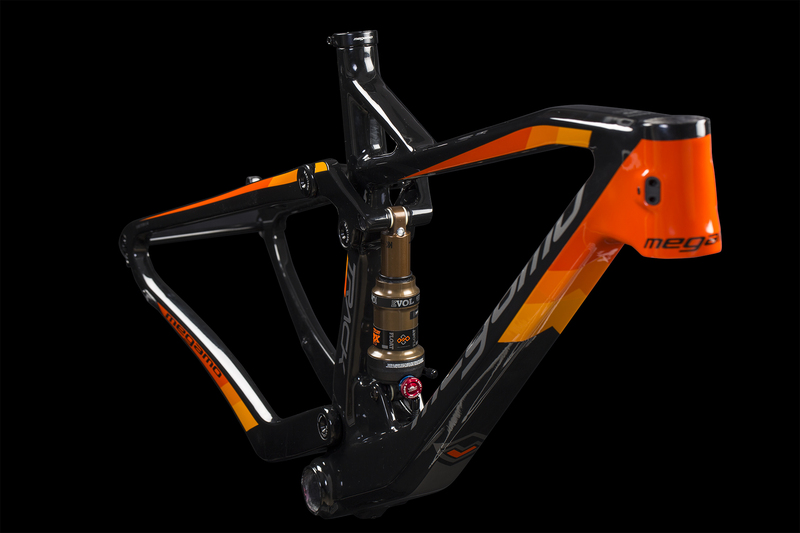 With 100mm suspension and 29 "full carbon frame, discover everything this new model hides. The swingarm lacks articulation, depending on the flexion of the carbon. It bring off greater lightness, mechanical simplicity and reliable operation, simple but extremely effective. No axis I've seen before looks like Easy Remove Axle. The lever of the rear axle is integrated into the body of the same. Technology for the user. The connecting rod, minimalist in appearance, transmits the movement of the suspension to the rear shock. With the remote control on the handlebar, the cyclist can choose the behavior of the rear shock at any time. (open or closed). The table comes ready for Smart Design internal wiring. 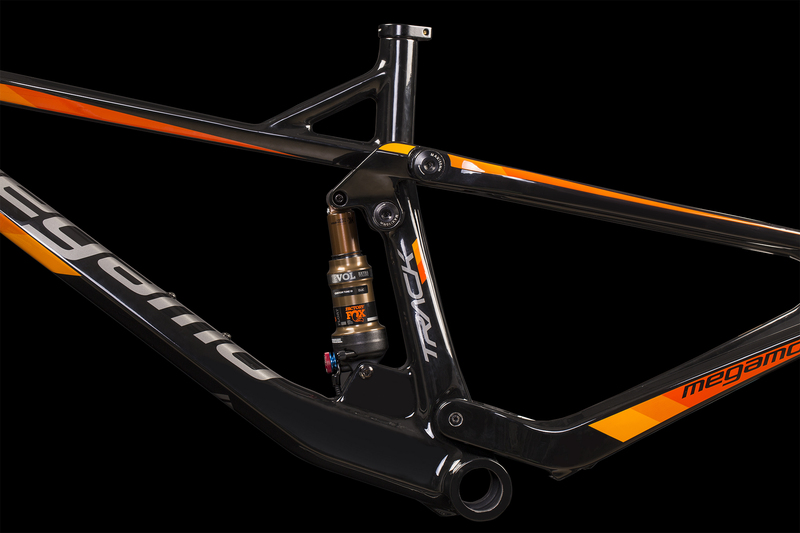 It is compatible with telescopic seat post and Di2. Visual cleaning for a subtle and attractive design. Our XC and XCM world cup bikers have noticed the benefits: improving traction and maneuverability immediately without losing pedaling efficiency and comfort. An increased reach and a low stack gives us stability. The angle of the pipe relaxed to have more poise, the angle of the saddle allows an effective pedaling that will provide hours of fun, while the short pods get a more reactive behavior. 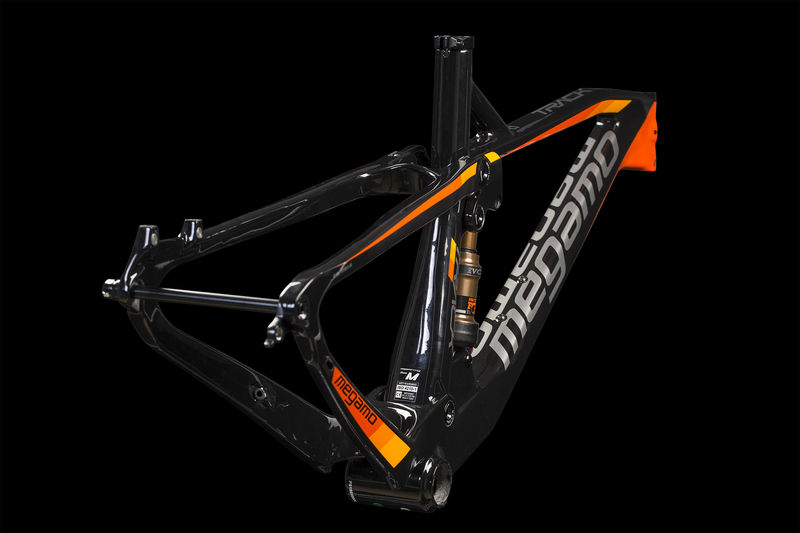 The frame of the Megamo Track is built entirely in carbon, without inserts of other materials. The new TRACK improves the layout of the multitude of carbon parts that make up the different parts of the frame in precise places and thus increases rigidity and improves driving control. 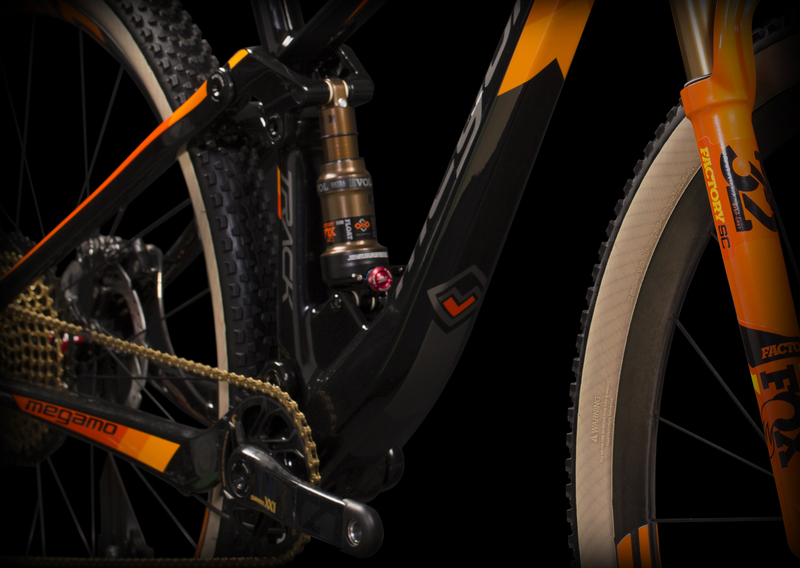 The bottom bracket is BB92, solidity and lightness.